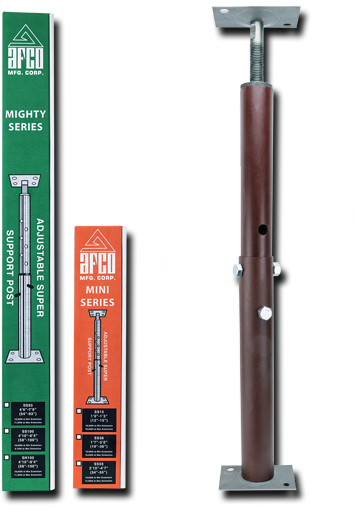 Support your sagging floors or unstable stairs with our Super Support Posts. SSP securely reinforce heavy load areas. Extra heavy steel posts and parts allow various load capacities ranging from 9,100 lbs — 18,000 lbs. SSP featured corrosion resistant paint.